They are the Satanists behind Terror, Communism and the NWO. Obama, Clinton and Trump belong. 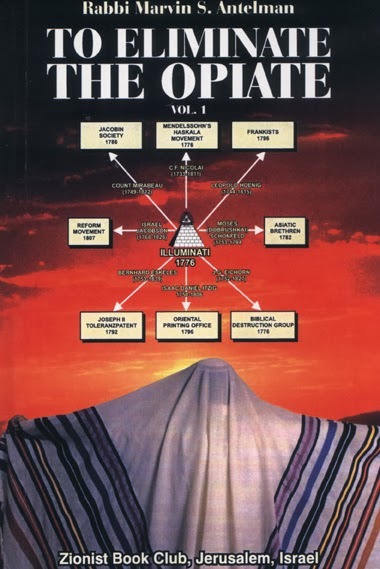 Is The Protocols Of Zion A Sabbatean Document? Certainly the Frankists and their friends belonged to an “elite” new aristocracy. Gershon Scholem, considered the foremost Jewish authority on the Cabala, said the Frankists went underground around 1820, as their emissaries went from town to town and from family to family to collect their secret writings…As the years passed, the economic and intellectual position of the Frankists strengthened. They built factories and became active in Masonic organizations. They were known to have secret gatherings on the Ninth of Av [August] which they celebrated as a holiday, which is the Jewish fast day commemorating the destruction of both Temples.